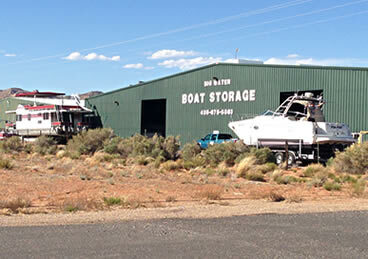 Big Water Boat Storage is a huge indoor facility — Lake Powell’s largest, in fact. A family-owned enterprise since 1999, they are located near and serve the Wahweap Marina. They have a large insulated warehouse type building with a concrete floor and offer on-site management for service and security. Launch and retrieve services are available for storage customers, as well as boat maintenance programs. 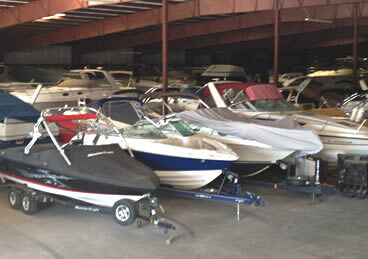 Big Water Boat Storage can accommodate any size boat or yacht and offer complete services. Storage options include indoor storage in their large warehouse buildings, indoor individual storage (size limited to 10W 12H 33L ) and uncovered outdoor storage. Their new individual boat storage facility is just up the street at mile marker 8 on the right hand side. 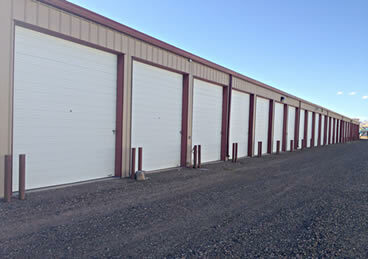 It has 58 single enclosed units each measuring 10′ wide x 12′ high x 33′ long. Save money on your gas bill with Big Water Boat Storage and Rentals. Don’t get gouged by marina prices. Take these boats with their own trailers to the on-land gas stations and save hundreds! If you have the truck and hitch Big Water Storage and Rentals has the rental boat for your family. 20 ft. SeaRay $280 PER DAY 250 HP, SEATS 8-9 PEOPLE. 35 GALLON GAS TANK, STEREO AND SUNSHADE. Ask about their Weekly Rental Rates.